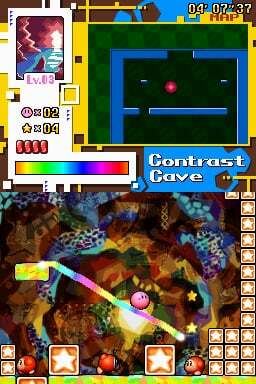 The DS stylus has been magically infused with the power to paint. 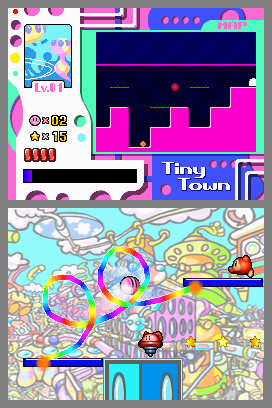 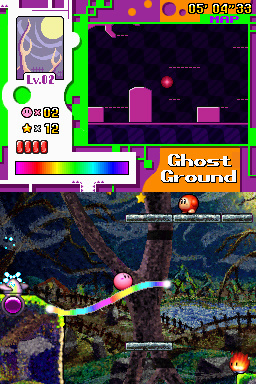 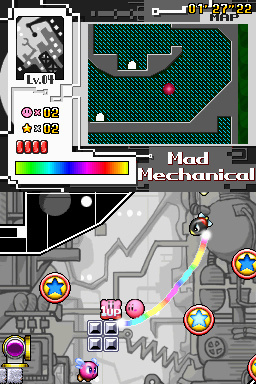 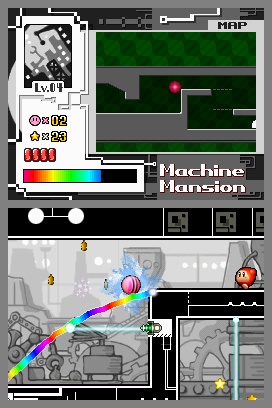 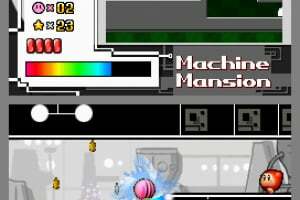 Players draw paths and stun enemies to guide Kirby through an adventure spanning seven massive worlds. 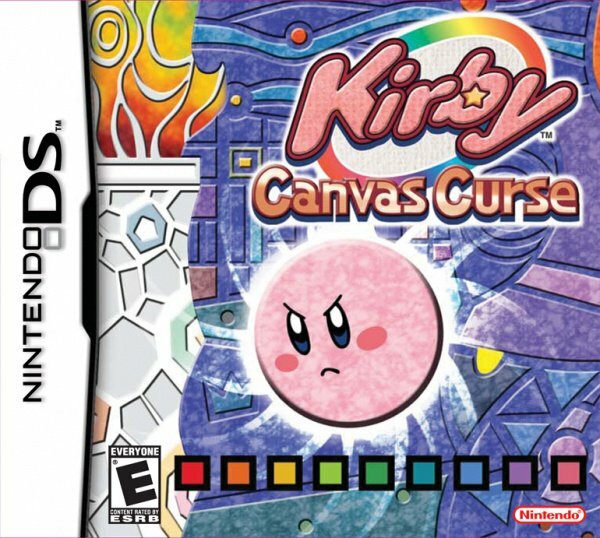 Game Storyline: An evil witch turns Dream Land into a "picture" world, and when Kirby confronts her, she uses her magic to turn him into a ball. 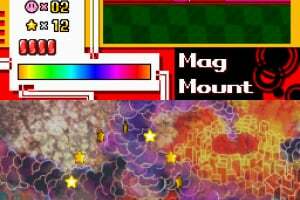 Luckily, he finds a magic paintbrush she left behind and uses it to turn the DS stylus into a magic item capable of drawing rainbow paths. 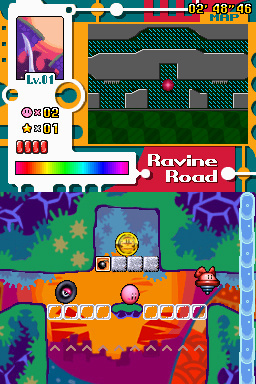 Kirby then sets out to regain his shape and save Dream Land. Characters: Kirby, Meta Knight, King Dedede, Kracko, Paint Roller, Waddle Dee, Waddle Doo and more familiar enemies. 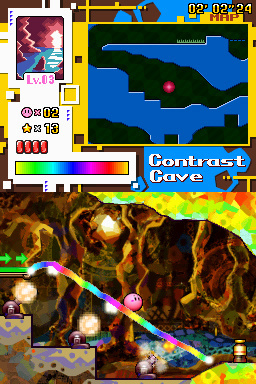 How to progress through the game: Use the stylus to draw paths to guide Kirby through each level or to tap enemies to stun them. 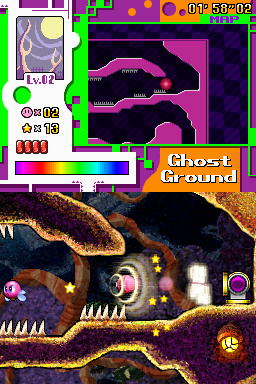 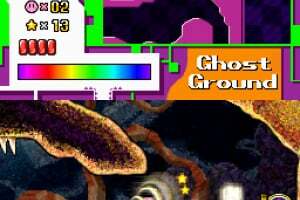 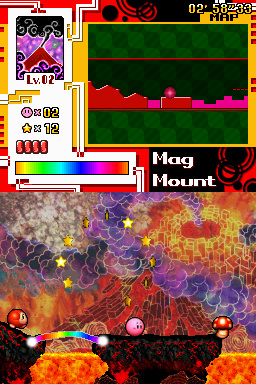 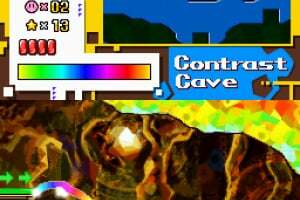 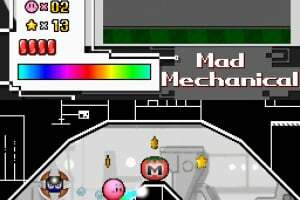 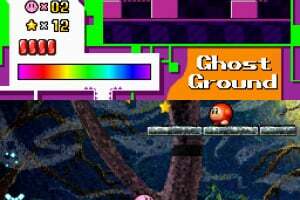 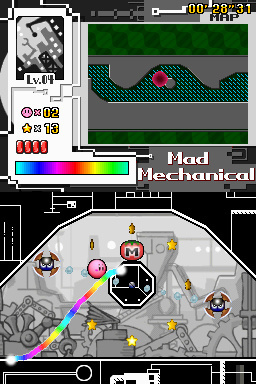 Break blocks and draw walls to avoid danger as Kirby heads for the gate of each stage. 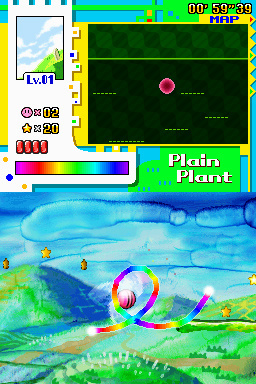 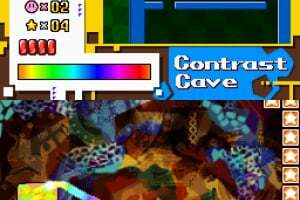 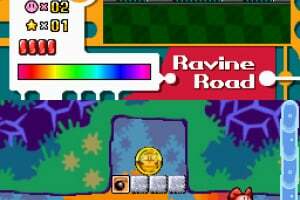 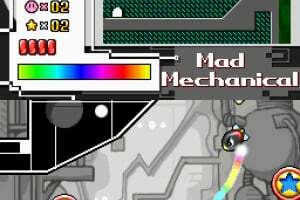 After defeating all three stages in each of the seven worlds, players must win a boss battle against King Dedede, Kracko or Paint Roller to open up the next world. 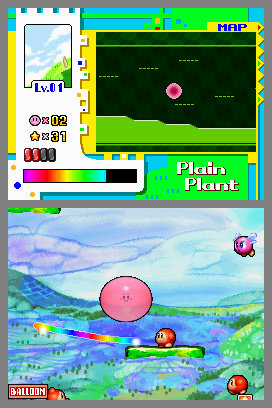 Special powers/weapons/moves/features: By dashing into enemies (or running into them while they're stunned), Kirby will copy their abilities. 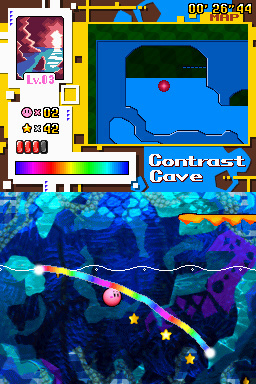 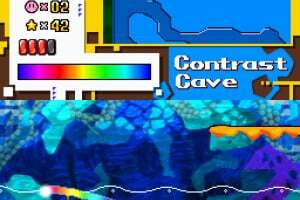 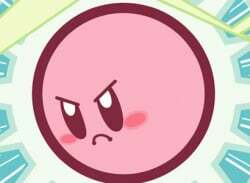 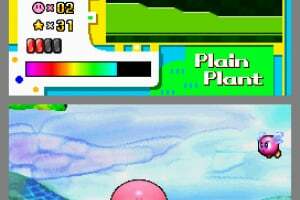 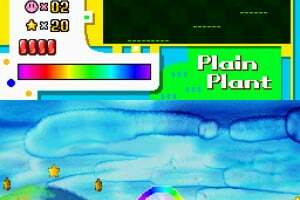 Every ability has a unique power – Burning Kirby can blaze a horizontal trail at high speed, Stone Kirby can plunge invincibly through the water and Wheel Kirby can cruise at high speeds to launch to distant areas.